The mortgage lending industry was severely hit by the recent economic recession and is still trying to deal with the fallout which nearly wiped out the home-lending industry in the USA. Today's volatile political climate and changing federal rules and regulations only make it tougher to survive as a mortgage lender or broker while earning decent profits. This changing scope of the mortgage landscape is, therefore, leading many lenders to incorporate innovative, cost-efficient solutions to meet fluctuating customer demands and higher-than-usual default levels. Mortgage pre-processing is a core activity for any lending business and is one of the most time-consuming activities which can lead to further delays in the process chain. Outsourcing mortgage pre-processing services is a sure-shot efficient way to deal with this slowdown while ensuring your business is able to focuses on growth and establishment. At Outsource2india, our mortgage pre-processing services leverage high-end technology, worldwide delivery capability, and smarter data analytics to transform your mortgage lending operations. Mortgage Inspection is one of the mainstays of outsourcing mortgage pre-processing services. Our mortgage pre-processing team ensures complete reliability of the details provided by you for all mortgage applications including GFEs, W2s, paychecks, etc. All our agents are trained to perform these initial checks and promise 100% accuracy. We take care of the entire process of locking the current interest rate for an applicant for a specified time period (15/30/45/60 days). Our complete rate lock process is customized on a case to case basis as per your requirements. Mortgage rate locks are wonderful to attract new home buyers, and we ensure the entire processing takes as little time as possible. To secure a loan approval, applicants must pass through CAIVARS (Credit Alert Interactive Voice Response System) screening. Compiling CAIVARS reports is a time-consuming task, and we ensure that at every step we prescreen borrowers and verify that the borrower does not have any history of defaulting payments. MERS, or the Mortgage Electronic Registration System is an extremely helpful database which can help track the entire mortgage process, from ownership to service rights throughout USA. All mortgages approved by Fannie Mae, Ginnie Mae, FHA, Freddie Mac, and VA amongst others can be tracked though MERS. Our team can compile efficient reports by checking the MERS website to find out if a borrower has an existing loan or other related expenditures. The application is updated with this information and sent for further processing. We leverage the Income Verification Express Service (IVES) program to quickly confirm the income of the borrower and compare it against his/her loan application. For the same, we place a request with the IRS for Transcript of Tax Returns by filling up the 4506T form. To speed up the mortgage pre-processing timeline, we order appraisals only from authorized appraisers by sending an email with the loan application reference and property details. Before placing the appraisal order, we verify the payment receipt (for appraisal fee) to reduce any delays as well. The 1003 loan application form, also known as the Uniform Residential Loan Application form is required to be filled up by all borrowers as the initial step of securing a home loan. We review all the 1003 forms and double check all relevant information such as borrower names, inhabitant and work history, signatures, dates, etc., to ensure only correctly provided information goes on to the next step for processing. The loan estimate form contains every borrower details such as loan term, purpose, product bought, loan type, taxes involved, insurance and overall assessment. Out team od mortgage service professionals ensure complete correctness of the LE form within a brief time. Once we have helped your review 1003 and the loan estimate form, we help generate federal and state disclosures through our lender operating system and then review it before sending it electronically to the borrower, or, if requested, by mail. As one of the foremost providers of mortgage pre-processing services in India, we ensure that all varied documents associated with the mortgage loan application are reviewed and validated with complete accuracy. We request supplemental records if required and follow up with the necessary parties in case of incorrect or lost documentation so that further processes can go on in a timely manner. Throughout the mortgage pre-processing process, we ensure that we remain compliant to all state and federal regulations. 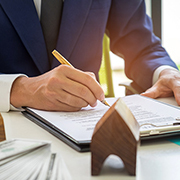 Our team of mortgage professionals are continuously trained in mortgage laws, and this ensures that all the processes work as required without any halts or untoward incidents. Throughout the pre-processing stage, we gather updated information for the loan criteria and the documents necessary for loan pre-processing. We index all such information on a regular basis to keep all updated information in the same place. We use electronic indexing tools to cut costs while at the same time ensuring you have access to the same wherever required. Once the requested certificates are issued we help to collect and file them properly for future use. Once again, our e-indexing methods ensure that the entire history of the borrower, his documents, and all the certificates are easily available in one central location. Why Choose Outsource2india for Outsourcing Mortgage Pre-processing? When it comes to handling copious amounts of sensitive data in a secure, effective manner, we ensure complete reliability. Over the years we have worked with firms who held data security paramount to their efforts, especially when it comes to mortgage lending. Our high-end data privacy measures coupled with our clean record and secure infrastructure means you will never have to worry about data leaks and hacks. Mortgage pre-processing requires bulk collection of data and regular customer follow-ups. This monotonous and time-consuming affair can often become a large cost center for your business and may require a large amount of investment. By outsourcing mortgage pre-processing to us, you can avoid rising costs. Throughout the course of the project, we assign a dedicated project manager to take care of all your requirements and meet all your internal standards of communication. Customer satisfaction is integral to our business efforts and ensures neither you or your customers are ever left hanging with a question for too long. Our team of mortgage resources are autonomously led by seasoned mortgage professionals who can function without the help of your managers. This ensures you spend very little time on keeping an eye on us, while still maintaining high levels of reliability through our daily reporting function. In the past decade, we have managed to constantly redefine our offerings by bringing down prices while constantly raising the bar for what to expect from an Outsourcing service provider. With more than 9000 happy clients across the globe, our quality control processes ensure the highest levels of accuracy you will see across the globe. Our services for mortgage lenders span mortgage processing support, closing support, post-closing, appraisal and title support, etc. By partnering with us, you can reduce operational overheads and focus on your core competencies. Contact us right away to outsource mortgage pre-processing services and other mortgage services!